German cuisine is wonderfully hearty and though certain recipes vary depending on each region, there are real staples to the diet, such are beautiful fresh bread, potatoes, soups and stews. Each area has their own home twist on the classics, such as the Russian influence of flavours within East Germany (my current home), to the potato dumplings. Germany is home to the world’s largest pumpkin festival, The Ludwigsburg Festival, so it’s no wonder the simple pumpkin soup, or kurbissuppe is so popular. 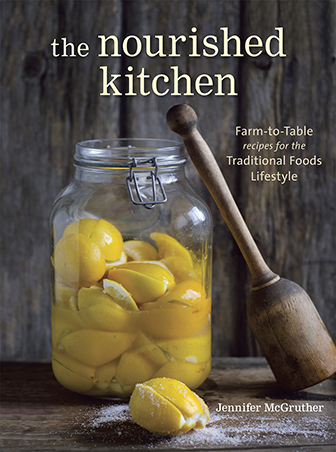 For me, the best recipes come with a story. There’s something about knowing that a certain technique comes from someone special or a beloved Nona that really enriches the process. In my blog, KateDowntheRabbitHole.com I write about the adventures and recipes I’ve come across in my travels. My Best Simple Salad, is ridiculously easy to whip up, but always reminds me of summer in the South of France and the bustling markets in Italy. I find learning recipes from new places and the people that live there is almost as fun as the eating – and I’ve got to admit, one major reason for my love of soup here is the excuse to dig into gorgeous hunks of crusty bread. The Joy of Bread in Germany is a powerful one, and teaming it with deliciously warm soup when the world outside is grey and wet, is a real pleasure. Pumpkin Soup is my autumn tradition. I first moved to Germany just as the country just became completely pumpkin mad, I was house hunting at the time and genuinely considered rolling a big one away and carving a home out of it. Luckily, pumpkins abound all through the colder months, which makes this recipe so easy to do. I love the Red Kuri pumpkin, because unlike other varieties, there’s no need to bother with skinning, it can just be quartered, scooped out, and you’re good to go &#45 and I’m certainly a fan of anything that cuts out fiddly work. 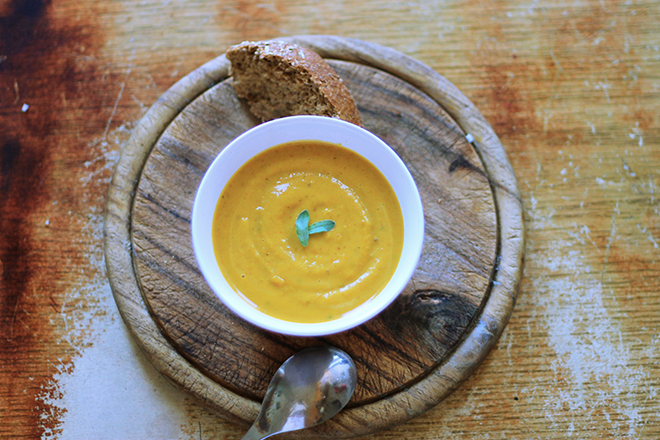 This is a richly flavoured, hearty and wholesome soup, which I love when the outside world turns a bit cold and grey. I would make it for my housemates and we’d all enjoy the kitchen warming up and the smell of roast vegetables in the house. For me, it’s the perfect comfort food and a real sign of seasons changing. It’s best enjoyed when snuggled up and taking cover from the cold. A rich, hearty winter soup made from roasted Red Kuri pumpkin and red onions. A wholesome twist on a traditional German recipe. Preheat your oven to 480 degrees Fahrenheit. While it’s heating, wash and chop your pumpkin into pieces about an inch square. 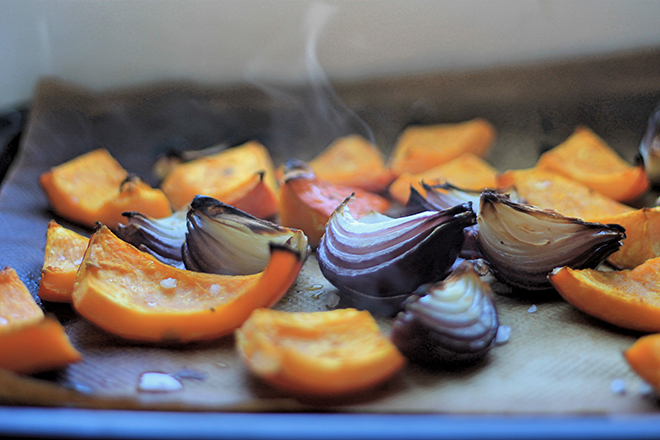 Chop your two red onions into quarters and arrange both the pumpkin and onion over a roasting tray. Drizzle with olive oil and sprinkle with sea salt before giving the pan a good shake. Turn the oven down to 430 degrees and roast until the pumpkin in tender, about 30 minutes. Once the vegetables are roasted, place them all within a big stove-top pot, and add the cream. Blitz until a thick puree. 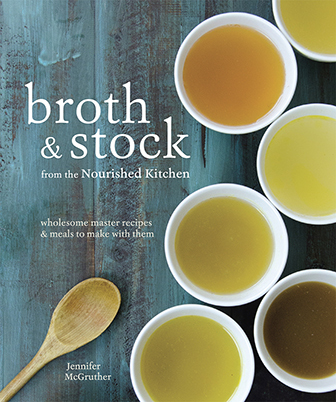 Slowly add the chicken broth to the soup, until you reach your desired consistency, adding more broth or water to achieve the consistency you like. You can do this over a low heat on the stove to keep warm. Continue to blend until smooth and even consistency. Ladle into bowls and serve. I love this soup served with a big hunk of crusty bread. Red Kuri is my *favorite* squash by far- I’m always surprised to find that many people don’t know about it! Thanks for making this awesome looking soup! Never heard of red kuru squash! You live and learn. And the only thing thing I know about German cuisine is at the German section of Disney World (which seemed so authentic to me at the time but now I question how rational I was). This soup looks really good, something my wife would make. Oh this looks delicious! 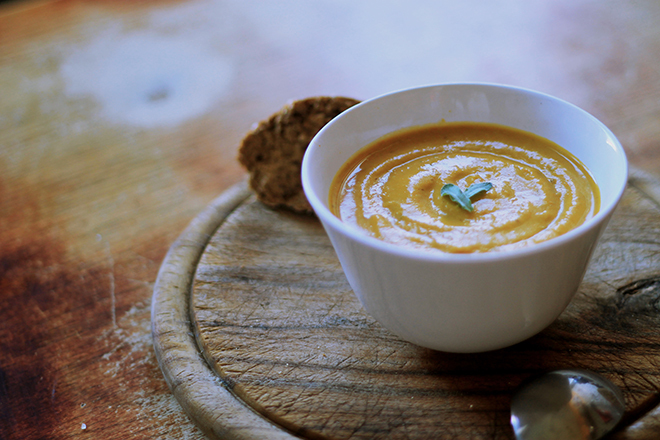 I’ve never made pumpkin soup before, but am adding this to my list of things to try! Can canned pumpkin be used instead? If so, how much? Red kuri squash is fantastic. I usually roast it but I love the idea of a soup! You don’t mention if the squash soft part should be scooped out of the rind after roasting and before blitzing. Let me know. Thanks! She did say you scoop out the flesh.